The real victims when it comes to divorce are children. They have no control over the situation and yet the whole situation can cause trauma that lasts well into adulthood. The University of California conducted a study that linked childhood trauma with bad behavior and poorer outcomes in later life. One of the types of trauma studied was divorce. So, it’s crucial that you go into a divorce with the children in mind first. Let’s look at what you can do to make divorce easier on kids. With half of all marriages ending within 20 years, this situation is common. Parents who are involved in a bitter divorce display negative emotions, even if they don’t intend to. But these negative emotions can leave an imprint on children. Family is the first school of life and if it’s a negative place then it’s going to rub off on your children. The first step is to try to keep negative emotions out of their lives. Avoid arguing in front of them. Don’t snipe at your ex-spouse in their presence. There are a range of common feelings children will experience when it comes to divorce. A lot of children will be confused as to what’s happening or why it’s happening. They may even think that it’s their fault. Sit them down and talk to them about what’s going on and why. This should happen, if possible, with both parents present. Allow them to understand the situation and reinforce the fact that it’s not their fault. Answer the common questions, like what happens during a divorce and what that means for their living situation. When one parent leaves the traditional family home, it becomes easy to grow apart from your child. This is dangerous because one study reveals that children from broken homes are nine times more likely to commit crimes. But you can mitigate these negative effects by continuing to be a parent. Don’t be tempted to become less of a parent because you’re no longer living with your child full-time. The best way for parents to make a divorce easier on children is to ensure that both parents play strong roles in their lives. The longer a divorce is dragged out the more stressful it gets. Children, like you, can’t move on until the divorce is finalized. It’s like your whole life has been put on hold, and it’s amplified for children. Commit to a smooth divorce, if possible, for the sake of your children. An uncontested divorce can take months to deal with, whereas a contested divorce can take years. There’s a big difference. For this, you should consult an experienced law firm, like Matrimonial Home. Your greatest ally in a smooth divorce is your attorney. 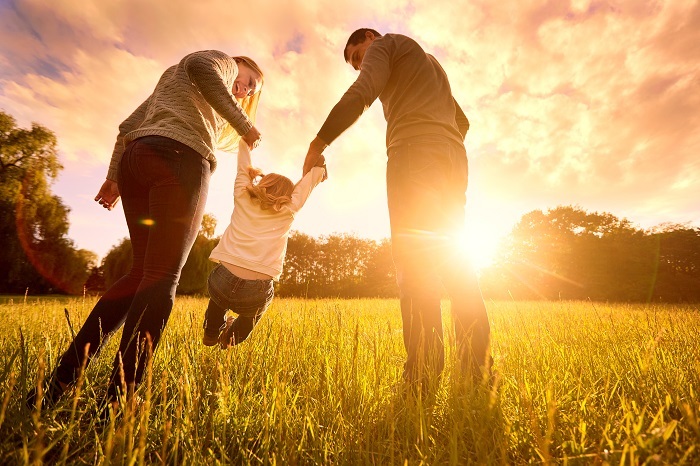 The overarching theme in this guide is working together with your ex-spouse to sort out the divorce and to establish the new living arrangements.Divorce doesn’t have to ruin your son or daughter’s childhood. But a bitter divorce can. Are you currently going through divorce proceedings?